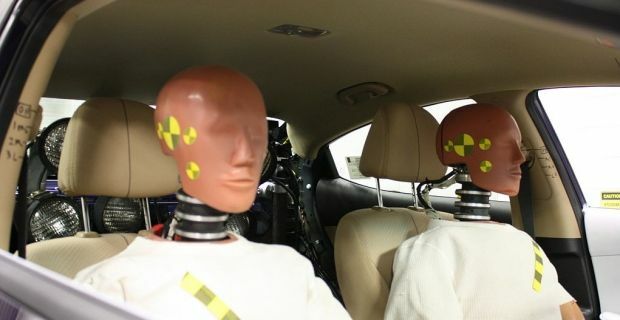 Safety is one of the most important things we look for in cars. Economy, looks, price and reliability are all really important but safety has to be most drivers main concern because driving is very dangerous at times. Euro NCAP ratings have been in place for a long time now and the five Euro NCAP star rating has become a must for anyone wanting the safest driving experience. The safest cars for 2015 list includes some obvious candidates but there are a few surprises too. The following cars have all achieved the coveted 5 star rating so each can be considered the safest car on the market in the UK at this time. The list includes a wide variety of vehicles. Vans, crossovers, family cars and off roaders are all part of the list which proves that there’s no one body shape that best tackles the extensive test Euro NCAP put the cars to. The Tesla Model S and the Mercedes GLA are two cars on the list that are as far apart as can be. One is an all-electric five-door saloon car from an American firm that’s been around since 2003. The Mercedes is a luxury compact crossover that’s been on the market since 2013 which is powered by a more traditional selection of petrol and diesel engines coupled to a front wheel drive or four-wheel drive system depending on the model. The BMW 2-Series is another car with comparable safety but a machine that’s nothing like the others on the list. This compact executive coupe is luxurious like the Mercedes but it’s far smaller and yet it also offers the same level of safety.